Julian Chavarría Franco, age 88, passed away on Sunday, May 8, 2011 in Fort Stockton, Texas. Julian was born February 17, 1923 to parents Vicente Franco and Santos Chavarría in Terlingua, Texas. Julian married Ruby Jiménez. Julian was preceded in death by wife Ruby Franco; and sons Julian C. Franco, Richard Jacob Franco, and Anthony Franco. A vigil prayer service was held Tuesday, May 17,2011 at 7:00 P.M. at the Memorial Funeral Home Chapel in Fort Stockton, Texas. A funeral service was held at 11:00 A.M. on Wednesday, May 18, 2011 at St. Joseph Catholic Church in Fort Stockton with Father George Thirumangalam officiating. Interment followed at the Fort Stockton Catholic Cemetery in Fort Stockton. 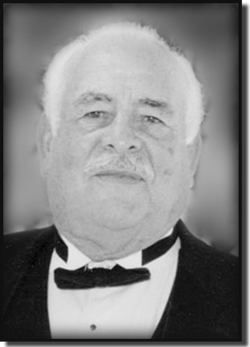 Julian Franco´s gifted grandson, Richard Franco, has created a memorial video to honor his grandfather Julian Franco Sr. and has graciously allowed us to display it here.